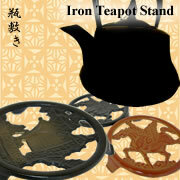 Ironware such as iron teapots is one of the most famous traditional Japanese products in the world. 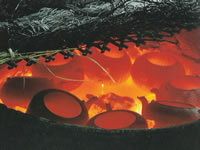 There are places in Japan where ironware is made as a special product of the district. Iwate prefecture in the northern part of Japan is the most famous among such places. 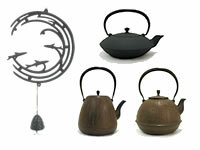 Ironware made in Iwate is called Nanbu-tekki. 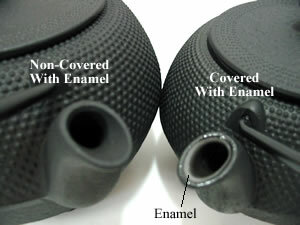 Nanbu-tekki is known to the Japanese as the best brand of ironware. It is said that the feudal lord of Iwate ordered his people to make ironware in the 16th century. 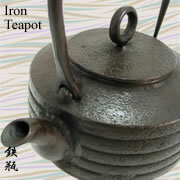 Because Iwate is rich in iron, the ironware industry has become very prosperous in this district. The design of Nanbu-tekki is very simple, very much in tune with the Japanese idea of humble simplicity ("Wabi-Sabi"). 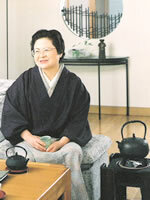 The same simplicity can be found in the Japanese tea ceremony ("Sado"). The colors of Nanbu-tekki are usually the natural colors of iron, which are cool and soothing. The colors will become more mature after being used for a long time. 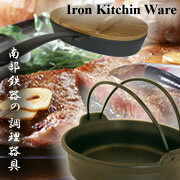 Our ironware is made by Oigen Corporation in Mizusawa city in Iwate. Because of the high quality and special design of the ironware, Oigen is famous for Nanbu-tekki not only in Japan, but also some European countries. 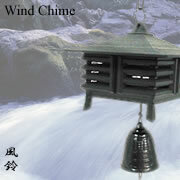 On our website we sell high quality teapots called Tetsubin and iron wind chimes. Nanbu-Tekki was designated as the one of the national objects of traditional craftwork in 1975.